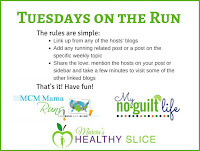 Sometimes its fun too look back at our running history. I ran cross country in High School and then a few 5k street races and one day decided I wanted to do a marathon. So I guess I went from 3.1 to 26.2 thinking about it I didn't run my first half until years after that lol. That's impressive that you ran a full marathon before even running a half! I am with you on starting with the small races - although my first was a 10k (mostly walking and a bit of running). I'm quite comfortable with the 10k distance now, still not fast, but comfortable enough to run the whole distance. But in the next few months I have a 12k scheduled and a 15k in August. So I am slowly building up! But I won't tackle the Half yet! Maybe next year! That was pretty ambitious to start with a 10k! Good luck with the 12k and 15k! I was a runner that jumped right into a half! But I had been running for years and was used to running for over an hour at a time. So training for a half didnt seem that crazy, it was just the race environment that was a little intimidating. Did you run in high school or college? Personally I think this is a very wise approach and studies show that runners who spend more time running shorter distances have an easier transition to half and full marathons. I ran 5k and 10k and worked up to a 10 mile long run years before I signed up for my first half. People are shocked that I ran a BQ in my first year of marathoning but when you realize how long I'd been building that base, it's not so shocking. I think it was a good approach too! I was a much bettter runner when I was building my base. Yeah, I can't commit to a half yet. When I do race-- which is very rarely, it is usually a 5K because I truly love that distance. This year I'm switching it up with a 10K in september so we will see if I like that distance. 5k's are a lot of fun but 10k's are a good distance to train for. Good luck with yours! 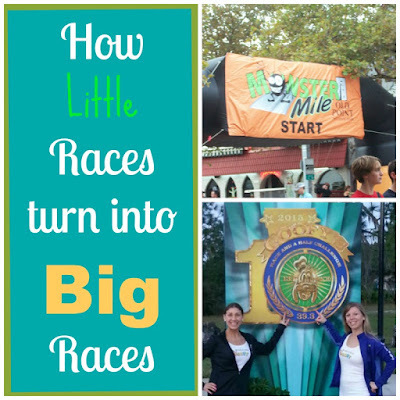 I spent a few years running smaller 5k and 10K's before taking on 10 milers and half races. There were not as many races back then to choose from as there are now. I bet that made you feel more confident going into those longer distance races. I've been running forever and "back in the day", half marathons weren't a thing. You did 5ks and 10ks or you were running marathons (I wasn't). When I did my first half tho, it had been years since I ran any races! Wow, it surprises me that there were 10k's but no halves. Now days it seems like 10k's are hard to come by and halves are very popular. I'm glad it didn't deter you from running more races! My first race with a Disney 5k to see if long distance running was something I wanted to do. I knew I could easily do that distance, so I didn't have to worry about that. Then I did a 10k to get a time for my first half, and then it was a half marathon. That was a good plan! My first race was a half marathon with my dad when I was 21. He had done the same race the year before and convinced me to go for it. After that I started racing consistently at various distances but - this is so weird to me now - I didn't keep a record of my times for a couple years! That's great that your first race was with your dad. Technically my first race was with my mom. I had done a couple 5k's over a few decades time, but went big and did my first half marathon in 2007 with only 7 weeks of training, LOL. Was it a good race? That's great that you enjoyed your 5k so much that you wanted to run a half right away. I trained for a year for my first 5k, so I feel ya! It took me at least a year after that before I even began to contemplate a half, but when I did, I did, indeed, do longer & longer races. Good thing I'd signed up early, because the 8 miler race I ran was one of my worst races & the first time I really experienced bad knee pain -- if I hadn't already been signed up, I might have chickened out. That's a good reason to sign up early for races! Initially, my first ever race was my sophomore year in high school as a cross country runner. I quit running while nursing school then after I graduated, I decided to pick it back up again. My first race after that was a local 5K in the spring of 2009, but my ultimate goal was to train for the Disney World half marathon of 2010. I'm so glad you decided to run the Princess half! So much fun! I didn't know you ran in high school. When I ran my first Disney race, I didn't even know they had the WDW half marathon ( other than PHM). 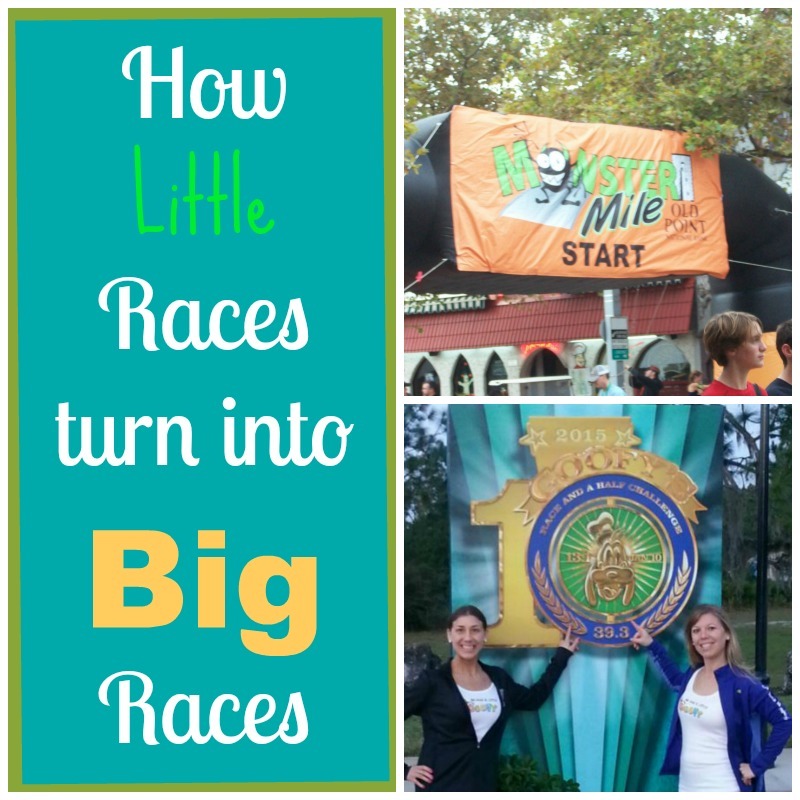 I guess I did a "big race" because I did a half marathon for my first race. But I had been running 5-6 miles a day for a couple years without ever running a race. So it wasn't like running was brand new to me. And I didn't RACE the half marathon. I think I had a better base to run for "fun" a half marathon than RACE a shorter distance, you know? Sounds like you were ready for a long distance race! 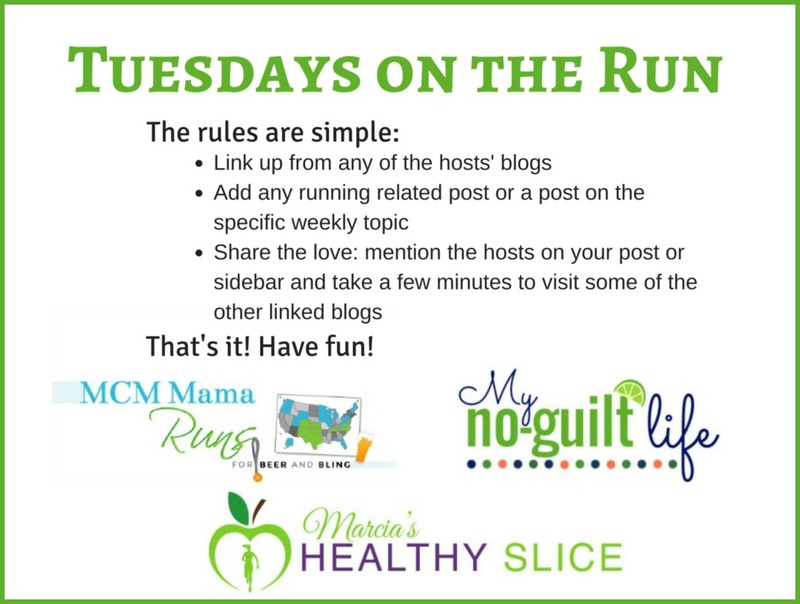 I read on Megan's blog that her first race was a half marathon! I couldn't even imagine!! I love that you took baby steps, it sounds completely reasonable to me! Before I felt ready for a 10K, I spent a year running only 5ks. My very first race was an Olympic distance triathlon (1.5K swim, 40k bike, 10k run). I did it with Team In Training with a solid coach and trained in just under four months. A few years later, I made running a half marathon my New Year's Resolution (along with some friends who made the same resolution). I knew I had run 10k at the end of swimming and biking, so I knew I could train from January to September to "just run" even though it was slightly more than double the distance. The Disneyland Half was my first half. To this day, I've never "raced" a 5k, but I have done a charity walk or two that were probably that distance.